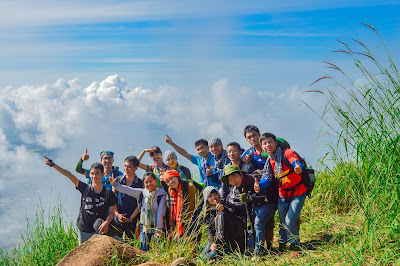 Lung Cu peak is located in the most Northern Vietnam, Dong Van district, about 450 km from Hanoi capital. This place is consisted of ¾ of rocks with a national flag as a highlight. 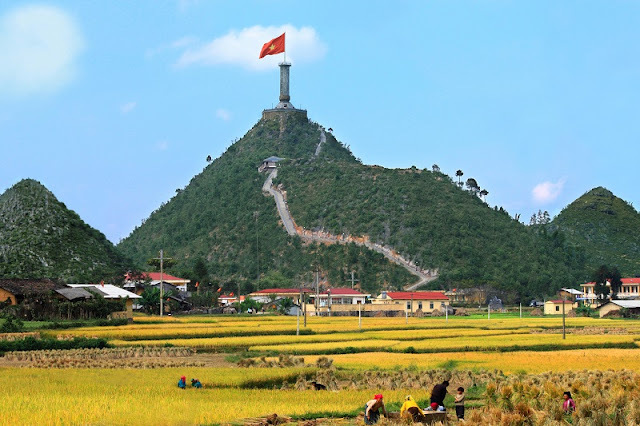 Lung Cu flagpole marks the extreme North of our country, marking the border division between China and Vietnam. The flag tower is built on top of 300m high Dragon mountain. 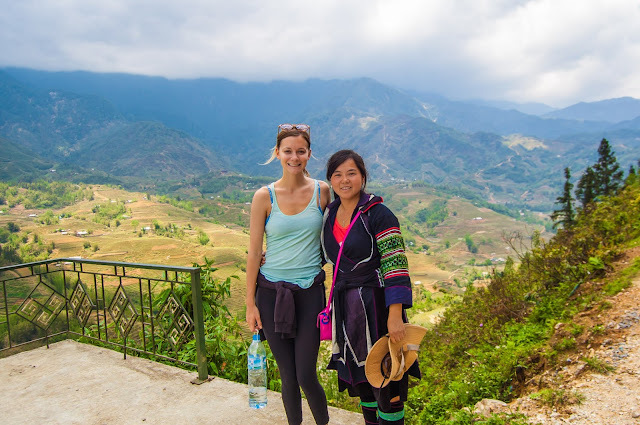 On the way to this land, from distances, Lung Cu is very spectacular with three quarters of the land covered with stone, a national flag pole erected on the top of the mountain. The flag on the tower has an area of 54m2, symbolizing the unity of 54 ethnic groups in Vietnam. The flagpole is a popular tourist destination that inspires a deep sense of pride in Vietnamese. Its design is an imitation of the Hanoi Flag Tower. The foot of the tower was carved with pattern of Dong Son bronze drum. Lung Cu flagpole was first built in in Ly Thuong Kiet Dynasty. In later years, the pole was renovated several times until it has its shape and design as today. The road to Lung Cu flagpole has been rebuilt with stair structure of 283 stone steps helping travelling easier. 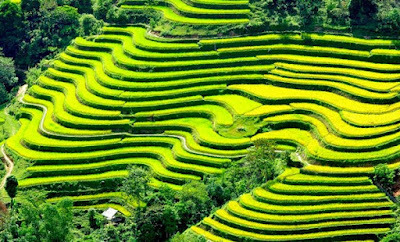 At the foot tower, there is a commemorative house, where displays production tools, costumes and cultural products of the ethnic groups in Ha Giang. 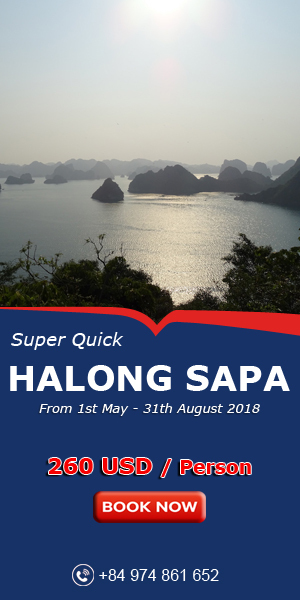 Visit Lung Cu in the Spring to get the most beautiful days of a year with fresh air, melodies of love, and flickering drums next to warm camp-fire.